Millennials represent 36% of all homebuyers in America today. 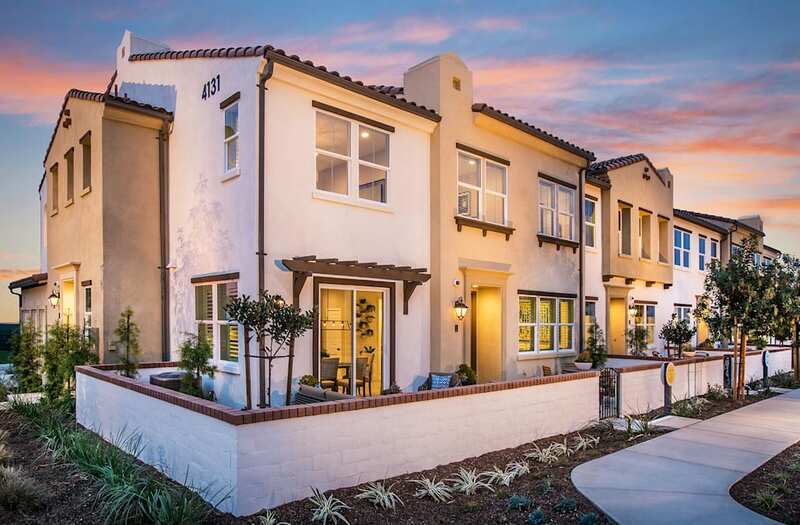 A new housing community in Ontario, California, called New Haven, reports a millennial homeownership rate of more than 50%. New Haven offers modest homes at affordable prices for the area, from $200,000 to $500,000. Nationally, millennials (the generation born between 1981 to 1996) represent 36% of all homebuyers, according to the National Association of Realtors' most recent trend report. Their median income is $88,200. "I've wanted to be a homeowner for a while — it was high on my priority list," Sam Shwetz, a 25-year-old homeowner, told Business Insider. Shwetz and his wife Sydney were renting in Costa Mesa, California when they started to seriously consider becoming homeowners after Shwetz left the army in 2016. They realized buying in Orange County — where the median home price hovers around $714,500 — was not feasible for them. The young couple looked to the Inland Empire, the large swath of desert and foothills that broadly includes Riverside, San Bernardino, and Ontario counties. It's the fastest-growing metro area in the US as measured by the number of new millennial residents, according to data from RCLCO, a real estate analytics company. In Ontario, a sleepy town about 35 miles east of downtown Los Angeles, a community called New Haven — part of Ontario Ranch, a sub-development spanning 8,200 acres — caught their eye. "You have to drive through ranches and cows — it's like, 'Am I still in California?'" Shwetz said. It's remote, but that doesn't matter. There are parks, pools, recreation centers, new shops and schools being built, plus some of the fastest internet speeds in Southern California. New Haven is a gigabit community; for $60 a month, residents enjoy download speeds of 1,000 megabits per second, or about six seconds for a movie download. It's great for streaming and gaming, Shwetz said. "The price range [for new homes] was fantastic," Shwetz said. Townhouses, condos, and single-family homes in New Haven start at the high $200,000s and top out around $500,000 — a bargain the Shwetz's couldn't pass up. They both found new jobs in the area — he's a property manager, she's an events assistant at the local university — and last October purchased a 1,900 square-foot home in New Haven for $445,000. After the 20% down payment, Shwetz said, they pay about $100 more a month for their mortgage payment than they were paying to rent an 800 square-foot apartment in Costa Mesa, which is a short 45-minute drive away. "It takes us less than an hour to get to the beach," Shwetz added. And they still attend the same church in Orange County and meet up with friends there on the weekends. Even though New Haven imposes high Mello-Roos, a special tax levied on homeowners in new communities in California, and a $117 a month homeowners association fee, Shwetz said it's worth it. Ontario Ranch won't be fully-developed for another decade, at least, as it aims to house about 162,000 residents in 47,000 homes, with enough schools, and retail and business space to accommodate. The Shwetz's are early adopters of sorts. "It's a trade-off. There are not a lot of amenities yet, but there are plans to do it," Shwetz said. "In my mind, that's why housing prices are cheap and as they build up, housing values will go up." "It's a pretty screaming deal," he said.